Alvarez has a beautiful, well-oiled Pro Preferred with the most extreme flare we’ve seen in the Bigs to date. Here are the specs: 12” Pro-Preferred, Bruciata colored Back/Palm, Pro-I web in Camel, Camel lacing, “Pedro Alvarez” embroidered in beige script I had assumed Alvarez picked up that flare while at Vanderbilt, but after seeing some photos from those days, he wore a traditional Wilson A2000. Alvarez’ glove is not available online, and sadly, I only found one PRO1000 model, Mark Buehrle’s PRO1000-4PRB (which is gorgeous, by the way). 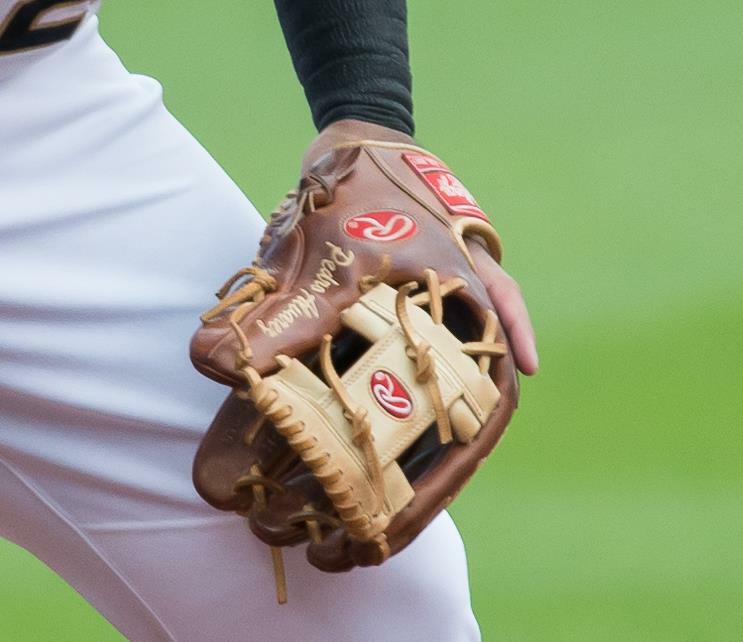 You can get a glove pretty close to Alvarez’, the 11.75″ PROS17ICBR, an I-Web with that bruciata/camel look, available here. Categories: Gear, Glove, Pittsburgh Pirates, Pedro Alvarez, Third Base.